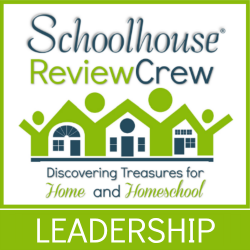 So many times when we feel our homeschool budget tighten, our first response is to cut out all the extras. Yes, we may save money, but inevitably fall into a monotonous rut that makes school miserable for everyone. So before cutting anything else out of your schedule, consider some of these options. The technology specialists have willingly offered free computer classes in their lab as long as we could gather a group of 6-10 students. The staff in the Children and Teen Departments have funds available to bring in outside talent and guests to provide workshops. They have been wonderful in utilizing our ideas for special learning events. The library catalog has a subscription to the complete Mango Languages database for free use by library patrons. Various clubs are also hosted at the library that are free of charge. Some of the ones offered at our library are Lego Club, Young Writers Club, Book Clubs, and Chess Club. Our local 4-H Cooperative Extension is also fabulous at working with homeschoolers in our area at no cost to organize special events and clubs of different interests within the 4-H model. Maybe you have a child that would love to learn to crochet, but your real talent is in photography. Gather together some other homeschool families and see what talents and skills the other parents possess. You could start your own cooperative completely free by having each parent teach a 4-6 week class on a topic they love and then rotate on to the next mom or dad in the group. Some popular group ideas are photography, sewing, crochet, hunting and survival, horse clubs, scrapbooking, computer or web programming, cooking/cake decorating, and much, much more. Maybe the extracurricular instruction you are desiring for your child is at a professional center. Several moms I know will barter their professional expertise in marketing, bookkeeping, and even cleaning for their child’s tuition or lesson fees. This is a great way to get your name out there for some freelance professional work while also allowing your child to take professional lessons at no charge. Consider this when you are looking for dance, martial arts, or music instruction. Many professionals desire to give back to the community and see it as part of their role. Our family has joined with others to learn about solar energy and native botany through working with scientists and naturalists in our State Parks Department. The young people in our homeschool group were also able to meet with the local meterologist and spend the afternoon shadowing him at the television studio. Not only did they learn about the weather, but also about the television industry. Many organizations and vacation spots are beginning to recognize homeschooling as a legitimate form of educating children and are more than willing to extend educational discounts to families when they visit. Our family had the opportunity to visit Colonial Williamsburg. Our normal cost of admission at the door would have been close to $240 for our family of six. In visiting the group sales office and explaining that we homeschooled, our admission for the day ended up being $73. Now that is the kind of savings we love to see. Our local aquarium, zoo, and museums all also provide discounted admission to homeschool students. Don’t forget the age old saving strategies of carpooling with other families and packing bag lunches. Sometimes outings, club meetings, and lessons can become unaffordable because of travel and eating expenses. Along these same lines, scheduling is huge. If you know you are going to be away in the late afternoon, try to get the crockpot going before you leave the house. Otherwise, on the way the temptation to stop for dinner rises with each whiny child. I hope some of these strategies will spur on your own creativity in finding frugal ways to keep those extracurricular activities in your homeschool experience. They can really help, especially during the upcoming colder and darker months of winter.